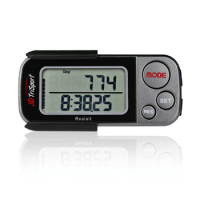 Best Pedometers Reviews We know that you are quite confused about what kind of pedometer to get for yourself. We will help you by giving you unbiased, pertinent information, so that you can make the right decision. A pedometer is a device, usually portable and electronic or electromechanical, that counts each step a person takes, by detecting the motion of the person’s hands or hips. Because the distance of each person’s step varies, an informal calibration, performed by the user, is required. The presentation of the distance covered in a desired unit of length, such as in kilometers or miles, can be chosen by the user. Though, there are now pedometers that use electronics and software to automatically determine how a person’s step varies. Distance traveled, by walking or any other means, can be measured directly by a GPS watch. 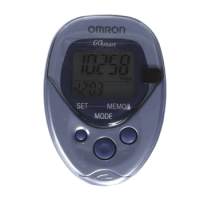 Pedometers have various features and some may even surprise you. Peruse the data below to help you decide what is most important for you to have in a pedometer. 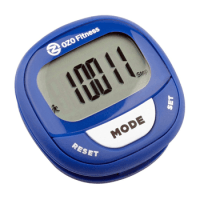 Daily step counters can describe the basic pedometer. 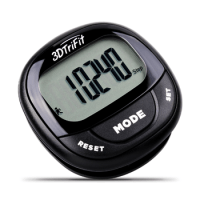 The device counts steps and may convert that step count to a distance estimate. This basic data may or may not, be saved for a few days. These devices are inexpensive, simple, reliable, and suited to those that simply need motivation to get a certain amount of activity on any given day. The generally accepted convention for number of steps per day is 10,000 steps which is about 5 miles in a day. A pedometer can help you realize your goal. The memory feature lets you set goals to beat. For example, if you know you walked 10,200 steps yesterday, you may to want to walk much more today. A memory of a week or less would be enough to illustrate your activity level, so that you could see which days you really dropped the ball, while also balancing it with days when you basically took over the sidewalk. You don’t need a year’s worth of data to know that this week was better than the last. If you’re already using a pedometer, you’re probably doing it because you want to lose weight or get in better shape. By walking on a regular basis, you’re already on your way toward your goals — but if you want to get even more detailed, you may also want to translate the number of steps you’re taking into a calorie count. You need to create a deficit of 3,500 calories in order to lose 1 pound — but a lot of other factors come into play when it comes to calculating how many you’re burning during any given activity. Your weight is one of them. Typically, heavier people burn more calories than lighter people. For example, a 185-pound person will burn 178 calories walking at a 3.5 mph pace for 30 minutes, while a 125-pound person will only burn 120 calories in that same amount of time. Intensity matters too; that 185-pound person will burn 222 calories by speeding up to a 4.5 mph pace. The 125-pound person will burn 150 calories in that same amount of time. According to Harvard Health Publications, you’ll get the most from your pedometer if you adopt a few basic strategies. First, have a goal for the day. For a lot of people, a goal of 10,000 steps is reasonable — though you may find you need to adjust your goals to fit your schedule and your overall fitness. When you’re walking, aim to walk briskly, so that you’re moving at a pace of at least 3 miles per hour. 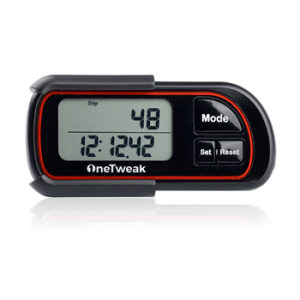 Get the best pedometer you can, since the cheaper models are more likely to give you inaccurate readings. Higher-end models may also double as GPS devices, that help you calculate how far you’ve walked, and may even estimate your caloric burn for you. Accuracy is usually not a problem with units that are of better quality. Digital signal processors, (DSP), take real-world signals like voice, audio, video, temperature, pressure, or position, that have been digitized, and then mathematically manipulate them. A DSP is designed for performing mathematical functions like “add”, “subtract”, “multiply” and “divide” very quickly. Pedometers are compatible to other devices. As an example, we can provide the Fitbit pedometer. It tracks all-day stats, including distance, calories, stairs climbed and pace, buzzing and congratulating you when you reach your goals. It also monitors your sleep, and can wake you up with a silent alarm. 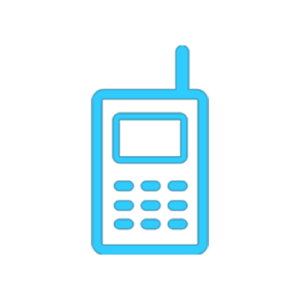 It is also compatible to smartphones and are wirelessly chargeable, as well as syncing automatically to your computer. You can even get call notifications on it. You can also look for pedometers that connect to your computer or smartphone. They will upload your data to a program or mobile app, that keeps track of all your fitness stats. Some of the most popular pedometers will sync with your phone or tablet in real time, giving you instant access to your stats. Consider the features that are most important to you. 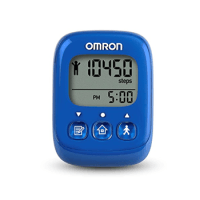 If you want the most basic option, you should look for an affordable pedometer that can track your steps. If you prefer a variety of fitness statistics, look for a pedometer with additional features, which will obviously cost more. An accelerometer measures proper acceleration, associated with the weight of a test mass. Future Electronics has a full chip selection of programmable analog accelerometers from several manufacturers, that can be used to design the accelerometer pedometer (Tri-Axis Accelerometer Sensor). Using a pedometer to count your steps is one of the cheapest and easiest ways available to improve your health and fitness. The basic purpose of a pedometer is to count your steps. Some pedometers come with lights, radios, alarms, step filters, scanning, pacing, auto start/stop, memory, voice. Different people have a different stride and walking, (or running), speed. Therefore, the number of calories burned in a mile is a very inaccurate gauge. A pedometer uses accelerometers to measure movement, which gives you a “step count”, that can be used to accurately track your movement based fitness. 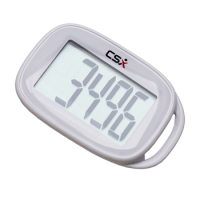 Additionally, most pedometers come with an altimeter, so it can tell if you are going up an incline, going downhill or over a perfectly flat surface. This is essential for any pedometer that measures calories burned over time. With some pedometers, measuring steps, distance and calories is all they do, while others have a handful of additions that can be used to “gamify” your walking experience, as well as many options to export the data to all sorts of cool fitness apps and interfaces. This is really where all the differences in the pedometers come into play. Scientific research has shown that pedometers are generally highly accurate at counting steps, but not as good at estimating distance, after all, people vary their stride length in everyday life depending upon the speed at which they are walking. Calorie estimation is even less accurate, as most pedometers don’t take age into account, and therefore cannot correctly estimate metabolic rate, for this reason, calorie estimates will be inaccurate for children. More advanced pedometers are becoming available, some will have a built-in diary which records your steps over a number of days, others will calculate your total walking time in minutes and seconds, and some will even have a pulse-rate reader. In the light of the current scientific evidence for pedometers, we can classify them on the qualities that are likely to make the most difference to your daily lifestyle, namely: accuracy in counting steps, robustness, size, design, user-friendliness, and price. 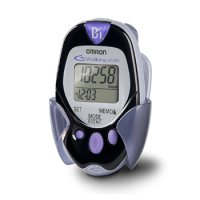 There is definitely a pedometer out there that will work for each person. The trick is to find the right one, with the special features you want, at the price point you require! The total Reviews Bee rating sums up the overall picture of every product. Reviews Bee works tirelessly to ensure that we are providing the best product recommendations to you and your family. In rating the various pedometers available, we strive to give you the best information possible.Our algorithm includes information from both expert and consumer resources. There is no need to spend hours on researches, because Reviews Bee instantly gives all researches and analysis for you and creates a Top list to save your time and money. 2. We Analyze the Data Expert Popularity Score, Expert Ratings, Consumer Popularity Score, Consumer Ratings and Consumer Complaints are inserted into our algorithm in order to calculate our Reviews Bee Score. This score, in turn, is used to rank each pedometer in our Top 10 recommendation. The Reviews Bee score is a summary of each of the most important factors indicating the value of a pedometer. 3. 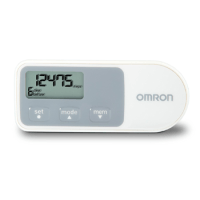 We Deliver The Best Results By taking each of these essential factors into account, we are able to give each pedometer an overall Reviews Bee Score that ranks each product against the others in our Top 10 list. By using a vast array of expert and consumer ratings, reviews, and feedback, Reviews Bee provides you with the most comprehensive analysis of product information available to you. You can make your purchase knowing that the best research was utilized to make your decision. We came up with the popularity score for every pedometer provider while analyzing 22 expert sites that are trustworthy. 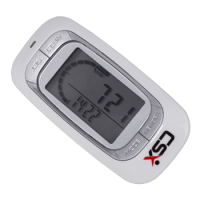 Based on our detailed evaluation, each pedometer is assigned an expert popularity score based upon how many times each product is positively mentioned by experts in the industry. 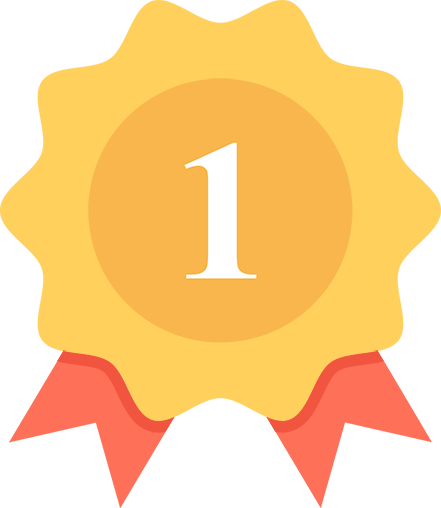 By analyzing all the expert review sites our algorithm summed up the average ranking for every pedometer in their rankings and that is how we came up with the final score for each pedometer brand. We managed to gather more than 6900 reviews from 78 reliable sources and our algorithm calculated the average score for each brand. In order to understand how satisfied those consumers were, we analyzed the total number of reviews. We collected all the reviews and the number of stars people gave for each product. Based on these findings we came up with the average customer rating. This is how we managed to bring out the pedometer reviews through which you know how the consumer can rate the pedometer. Through this, we show both sides of the product whether it’s positive or negative in nature. This then makes it a negative factor in our algorithm. This as a result makes the best pedometers reviews. That is why pedometers reviews not only have positive comments mentioned but also the negatives as well.